With a winged design that makes your little one look like an angel, this head protection pad is perfect for both newborns and toddlers learning to walk, crawl or climb. 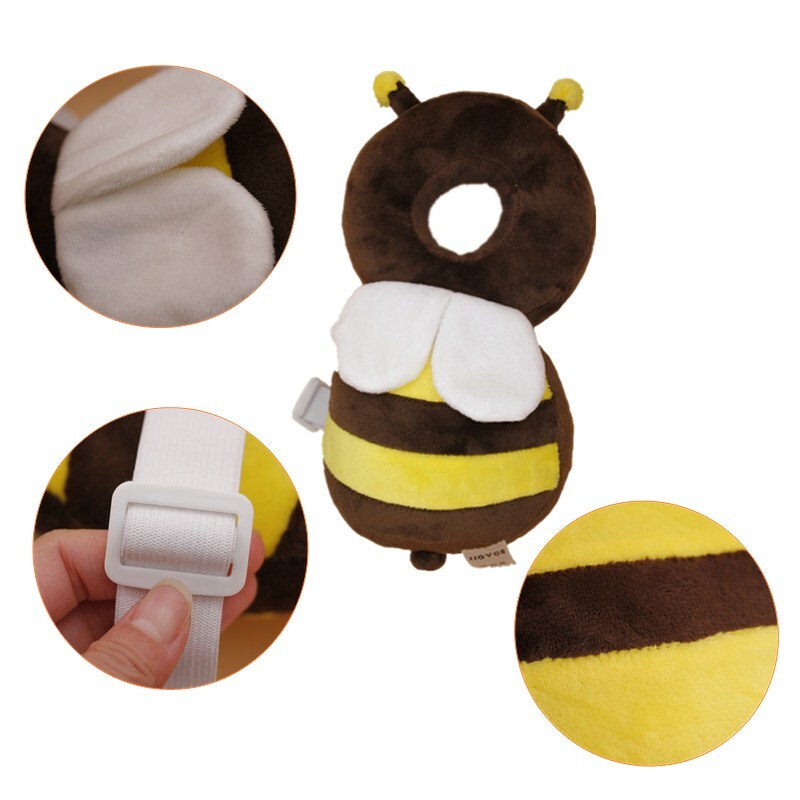 The padded ring is made of organic cotton, and protects the baby’s neck and head. 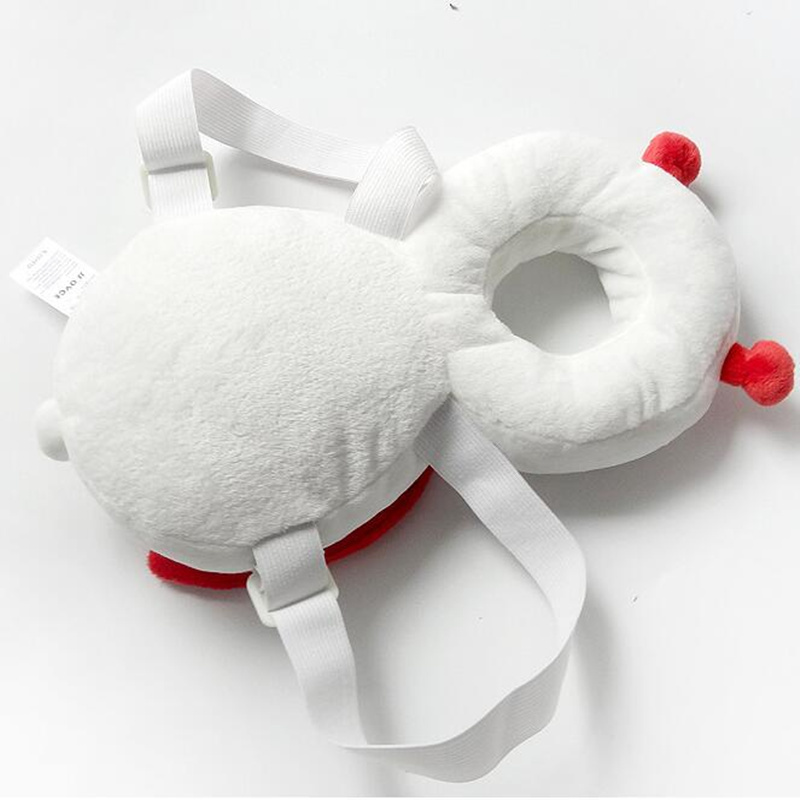 Light-weight and super comfortable, this product acts like a headrest pillow, without putting any extra pressure on the baby’s shoulder. The shoulder straps are adjustable, and can be altered based on the baby’s size and comfort. The back-piece is made of breathable fabrics, and has a unique design to ensure adequate support for your baby, without being too tight or sticking to the skin. Weighing 130 grams, the baby head protector is available in a variety of colors, and has a size of 15.5cm x 30cm / 6.10inch x 11.81inch. The product effectively alleviates the impact when your baby falls, and protects his entire backside. The ring doesn’t touch the baby’s head when upright, so it won’t get in the way of your toddler’s first steps. The drop resistant cushion makes for a perfect baby shower gift for a friend that already has a toddler or has one on the way!